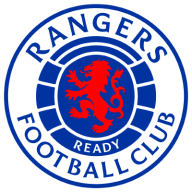 Kyle Lafferty is a doubt for Rangers when they travel to St Mirren in the Scottish Premiership on Saturday, live on Sky Sports. The striker came off the bench in Rangers' 1-1 home draw with Kilmarnock in midweek but is struggling with a thigh injury. The draw against Kilmarnock stretched Rangers' winless run to three matches following a stalemate with Spartak Moscow in the Europa League and defeat to Aberdeen in the Scottish League Cup semi-finals. Rangers assistant manager Gary McAllister believes the team need to show more "poise" in the final third after producing just one goal in their last three games. "There has been a hint of frustration," said McAllister. "It comes from the fact we have bossed games, controlled possession but have lacked quality in the final third. "We maybe need to take care and wait for the correct moment in the final third instead of rushing on the ball. "Expectation levels are back after a good European run and this is the demand at a club like this. It's where top players and managers want to be." St Mirren are second from bottom in the Scottish Premiership and have lost 10 of their 11 matches in all competitions, with their only positive result a 1-1 draw against Celtic. However, McAllister does not expect Rangers to have it easy. "They got a good result against Celtic when they had a specific shape that night and I think they'll employ a similar shape against us. "They'll get men behind the ball and make it very difficult. It's not a given and we know it's going to be a tough game." St Mirren have an unchanged squad. Goalkeeper Danny Rogers is pushing for a league debut after returning to the bench in midweek following a knee injury. Kyle Magennis is back in full training but will not be rushed back to action, while Adam Eckersley is also just short of a comeback. Gary MacKenzie (Achilles) remains on the sidelines. Rangers midfielder Ovie Ejaria is set to return from an ankle knock for the lunchtime clash in Paisley. Borna Barisic is still working back from a thigh strain while Graham Dorrans and Jamie Murphy (both knee) are long-term absentees. 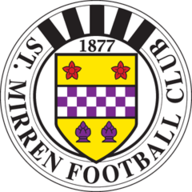 Both of St Mirren's wins over Rangers in the Scottish Premiership have come at home, firstly in October 2008 and also in their last home game against them in the top tier on Christmas Eve 2011, a 2-1 win with goals from Aaron Mooy and Paul McGowan.